The continuing growth of the manufacturing sector throughout the United Kingdom has now created an interesting upturn in a very specific area of manufacturing, which Cradley Heath based company, 'Multiforms' (a division of the Rical Group) is ideally positioned to support. 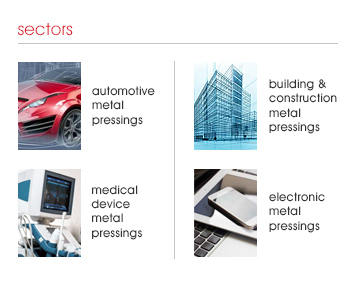 Multiforms has capacity for high speed progression and Transfer Presswork, Conventional Presswork, metal pressings along with Wire forming and Cold Heading, but in addition to this Multiforms is also now seeing increasing interest and demand for traditional Flat-bed, Multislide and Bihler technologies. These methods of metal forming can be a very competitive alternative to high cost progression and transfer tooling and presses. Alongside Multiforms other capabilities the company also has over sixty Multislide/Bihler machines covering a wide range of applications and is one of the UK’s leading suppliers of associated products into the Building/Construction, Electronic and Automotive sectors. Multiforms’ clips and wire forms are used extensively through the United Kingdom’s transport network, its range of customer led P’Clips and Brackets fasten the world’s Automotive Fluid Transfer lines and other items supplied globally to suspend office and hospital pipelines and wiring facilities. Multiforms is ideally positioned to support new and existing customers with both new product development and also resourcing of existing product lines. In addition when current progressive tooling is coming to the end of its economic life then what better opportunity than to extend product life utilising the much more competitive Flatbed or Multislide tooling? More so now than at any time during the economic recovery Multiforms is able to compete for and win contracts for both new projects and also repatriate business back to the UK from China and India due to its competitive, quality assured and flexible manufacturing capability, supplying the Global Market from its central UK location. Should you require more information regarding our Multislide/Flatbed/Bihler components please contact our sales department at aessom@ricalltd.com phone +44 (0)1384 569 283 or visit our Group website at www.ricalgroup.com/multiforms and complete an online request form.